Aidan O'Brien concedes he is 'taking a chance' with Saxon Warrior by running in Saturday's Coral-Eclipse at Sandown, but he is happy to take it. 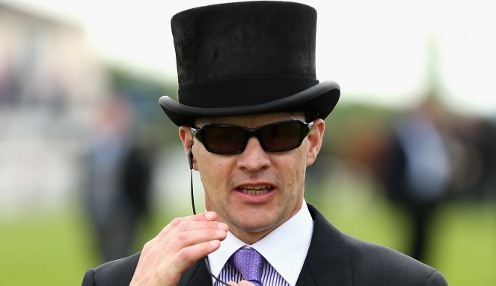 The Ballydoyle supremo insists he'll have a close eye on this season's 2,000 Guineas winner, in case there are any tell-tale signs that he isn't at full tilt. Saxon Warrior was beaten for the first time last month in the Derby at Epsom, finishing fourth as Masar won for Charlie Appleby. Just a week ago, the son of Galileo could only finish third in the Irish Derby at the Curragh, having gone off the odds-on favourite. Now he faces a quick turnaround and a rematch with Derby first and third, Masar and Roaring Lion, from Epsom. "Obviously we're observing him very closely because he only ran last week. If there was anything negative we'd flag it up straight away," said O'Brien. "We're taking a bit of a chance running him back so close, but we're happy with him. We never thought that dropping back in trip would be a problem to him." Saxon Warrior is 9/4 to win the Eclipse on Saturday, with Masar trading at 13/8 and Roaring Lion rated a 7/4 chance. Appleby has no fears in taking on Saxon Warrior for a third time. Masar was behind him at Newmarket in the Guineas, before taking his measure at Epsom. "I'm pleased Saxon Warrior is running. The Eclipse is known as one of the summer spectacles, so I'm pleased for the race," he said. "From our point of view we won't be running away from anything and we think Masar is very much the one to beat."